Dipping into the archives again today, with a helpful post from Marcy Kennedy on formatting your ebook. This is by far the easiest option, but it’s also the most expensive. That said, you’d be surprised at how affordable it is to simply have someone take care of this for you. The average cost to format a novel is $100. Non-fiction books can be a touch more pricy depending on how many images, tables, and other frills you want to include. The biggest drawback to hiring someone to format your ebook for you is that, every time you find a typo or want to update the links in the back, you need to depend on someone else to do it. That can mean additional delays and costs. Before hiring someone, make sure they’ll be hand coding your book rather than running it through an automated converter. If they’re just going to convert it automatically from a Word document, you can do that yourself for less. If you’re interested in hiring a pro, check out Streetlight Graphics, BB eBooks, or Dellaster Design. This is the path I ended up taking (which surprised even me). Part of what appealed to me most about indie publishing was the control. I didn’t want to depend on someone else whenever I wanted to make a change to my books. I also wanted the freedom to experiment with the look of my ebooks and to customize them to my personal taste. Beyond the freedom and control, a hand-coded ebook composed of individual HTML files creates a cleaner, more compact file. In other words, it has fewer glitches, downloads faster to e-readers, and results in lower delivery fees from Amazon. If you want to learn to code your own ebooks, you need a good eye for detail and a little bit of patience. That’s about it. I found I enjoy it. I bought Paul Salvette’s The eBook Design and Development Guide. For less than $7, it walked me through everything I needed to know, and when I hit any confusing part, the author answered my questions quickly and clearly via email. Along with being a great tool for writing, Scrivener also has the ability to turn your manuscript into an ebook. The file it puts out will be less compact than if you hand coded it, but if my gushing about HTML and CSS makes you reach for a paper bag, this could be a great option for you. You’ll have more control than if you hired someone, and you’ll end up with a better product than if you go with automated conversion from a Word doc using either the Smashwordsmeatgrinder or Kindle Direct Publishing’s system. You can buy a copy of Scrivener from www.literatureandlatte.com for $40. If you decide to go this route, I strongly recommend that you also get a copy of Ed Ditto’s How to Format Your Novel for Kindle, Nook, the iBookstore, Smashwords, and CreateSpace…In One Afternoon. He shows you how to make the most of Scrivener’s abilities to produce a high quality ebook. Using the Smashword s“meatgrinder” to convert a Word document to an ebook is one of the most common methods used by self-published authors, but in my humble opinion, one of the least optimal. Converting a Word document to an ebook gives you the least amount of control over formatting, takes more time to work out the bugs than using the methods I described above, and results in a bigger file (so slower downloads and higher delivery costs). If you use Smashwords, you also have to include “Smashwords Edition” on your title page. The biggest reason not to go this route, however, is you’re not supposed to take the files Smashwords produces and directly upload them anywhere else. It ties you to Smashwords, and limits your ability to participate in special offers that online distributers only offer if you upload directly through them. Since Smashwords now allows you to upload an .epub rather than using their meatgrinder, you can still use Smashwords for distribution even if you use another method for ebook formatting. If you’d like to try formatting your ebook via Smashwords, you’ll need to read through the Smashwords Style Guide. What methods have you used to format your ebook? What did you like/dislike about them? Would you try something different next time? Marcy Kennedy is a suspense and speculative fiction writer who believes fantasy is more real than you think. Alongside her own writing, Marcy works as a freelance fiction editor and teaches classes on craft and social media through WANA International. 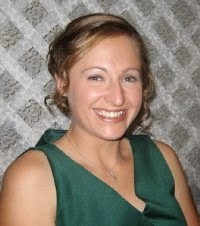 She’s also the author of the Busy Writer’s Guides series of books.You can find her blogging about writing and about the place where real life meets science fiction, fantasy, and myth at marcykennedy.com. 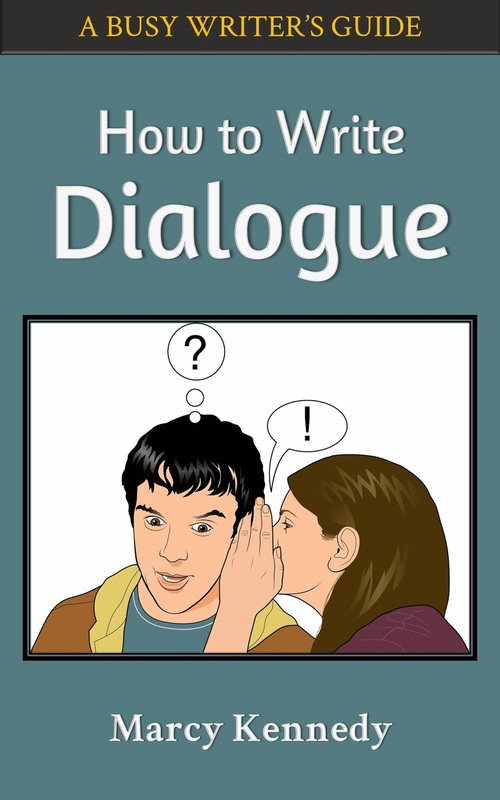 In How to Write Dialogue: A Busy Writer’s Guide you’ll learn how to format your dialogue, how to add variety to your dialogue so it’s not always “on the nose,” when you should use dialogue and when you shouldn’t, how to convey information through dialogue without falling prey to As-You-Know-Bob Syndrome, how to write dialogue unique to each of your characters, how to add tension to your dialogue, whether it’s ever okay to start a chapter with dialogue, ways to handle contractions (or the lack thereof) in science fiction, fantasy, and historical fiction, tricks for handling dialect, and much more! Each book in the Busy Writer’s Guides series is intended to give you enough theory so that you can understand why things work and why they don’t, but also enough examples to see how that theory looks in practice. In addition, they provide tips and exercises to help you take it to the pages of your own story with an editor's-eye view. I've recently self-published using CreateSpace and after the bad experience of using their template and having my book turn out pretty bad, I found some great tutorials(listed here http://laurasconfessions.com/2014/02/01/what-i-learned-from-word/) to format my own file and submit that. I was pleased with the result. Next was the choice of putting my book on Kindle. Yes, I'd like to. Until I saw what their idea of formatting was from my files for print. EEK! Scary and barely readable. So, my questions is this: is there an easy way to adapt my files to e-book formatting without the routes you've described? Perhaps not. I may have to grin and bear it, but I had to ask. Thanks! Unfortunately, there is no easy way other than what I've described. But I will second what Michael said--Scrivener is a great product for both writing and formatting. If you don't feel comfortable diving into the HTML and CSS you'd need to learn to hand code your book, I highly recommend you try Scrivener. You'll be much happier with the result than you would be if you tried to go directly from the files you already have. Hi Janice and Marcy. I very much enjoyed the post, and tried to click on Marcy's link here: "You can find her blogging about writing and about the place where real life meets science fiction, fantasy, and myth at marcykennedy.com" and seemed to be redirected to a dead link at WANA. It may be a problem at my end, but thought I'd let you know. :) I found the proper link and plan on perusing now. Thanks for the heads up, it should be fixed now. Oddly enough, it worked when I clicked on it in your comment, but not in the article itself. I must confess, the html route is a bit long-winded for me, so I use scrivener for kindle and Smashwords makes the rest. My concern with using an epub to smashwords is that it can take quite a few revisions to get it through their premium catalogue. Using the style guide and letting them grind it is generally safer and does result in a good product. If you do put the epub on, are you sure it doesn't need the smashwords bit at the beginning anyway? If you use an .epub and want Smashwords to distribute, you do still need to put the "Smashwords Edition" bit at the front. However, if you formatted your epub yourself, you can instead upload directly to places like Barnes & Noble or Kobo and you don't need to include the Smashwords stuff at the front. I hope that clears up any confusion! Thanks for the link, Marcy, I'll give that a try for the next one. I've hired out and used the Smashwords meatgrinder method. I wasn't sure I'd have the patience to format but it turned out to be an alright experience, not quite as bad as I expected lol! Great info Marcy. I'll definitely keep this post. I look forward to reading more of your posts here on Janice's awesome blog. This is something I'm very interested in, thank you!! Thanks for the detailed info. Shared with my writing students. I'm wondering if the link to the site that sells scrivener is correct? It leads to some ladie's writing blog. I think the actual site has latte as singular, not plural. I would have to say yes. Link is fixed. Thanks for pointing it out! I bet those two sites get mixed up all the time. Oooh, great topic! I actually learned how to do it myself. Tough work, but now I'm confident that I can make changes whenever necessary. I had no problems with formatting the book for Amazon, B&N, & Kobo. I used Smash for the other formats, since I had a bit of a tough time with Apple. Smash's meatgrinder gave me a bit of trouble but I worked through it. 1. Complete history of the writing and editing progression. 2. Sync to any machine I'm using. 3. Amenable to scripting for analysis (everything from word count change from one commit to another, to looking for overused words and phrases). 4. Easy to transform the text -- I can output to epub, docx, odt, html, etc. in a single command for either asciidoc or markdown (using pandoc). Probably not for everyone, but it works best for me, and at least the light-weight markup portion (i.e., markdown or AsciiDoc) is much easier to learn than even basic HTML, and thus might be useful for those not as hopelessly geeky as me. This answered so many of my questions! I've asked numerous people and got numerous different responses. Thanks for this wonderful info! I briefly tried Scrivener in the past but found it very difficult. Maybe I'll give it a try with one of my other books. I'm currently using Word. Kindle Direct Publishing's converter usually works well for me. For my epub versions, I've switched from Smashwords to Draft2Digital, which has a less cumbersome, less picky interface. For pre-pub beta reader or reviewer copies, I save my Word file in html, import it into Calibre, and convert it there into mobi and epub files.